Upland game hunting and Nebraska are words that go together like a campfire and good friends. 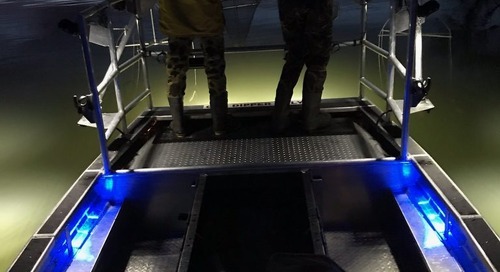 The upland slam is on the minds of many hunters this year as they start making plans for the field and is within reach of most if they just do a little planning for the fall. 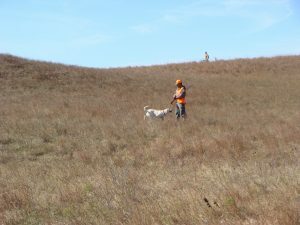 The Upland Slam is a challenge to all hunters to pursue ring-necked pheasant, northern bobwhite quail, greater prairie chickens and sharp-tailed grouse. This is a no-brainer for a state like Nebraska. 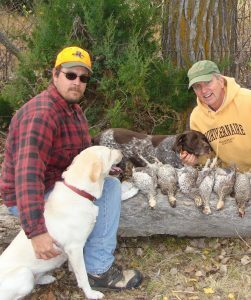 We have diverse upland hunting opportunities, long seasons, great access to public lands, and high hunter satisfaction rates. 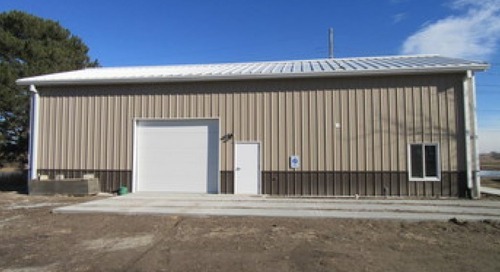 A true upland hunters paradise! 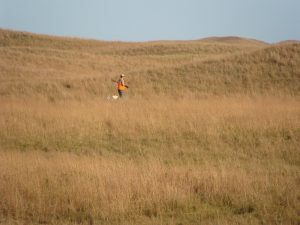 While greater prairie chickens can be found in southeast Nebraska, it will be the Sandhills of central Nebraska that will help most hunters complete their Upland Slam while providing memories that will last a lifetime! sharp-tailed grouse and greater prairie chickens can be found throughout the Nebraska Sandhills region. To me they provide one of the most scenic and enjoyable hunts in Nebraska. The Sandhills region offers rolling hills of grass stabilized sand dunes and the picturesque “wild west” that many dream about. 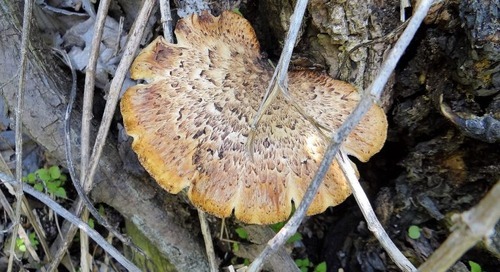 Finding these two species is synonymous with walking. A day hike through the hills looking for favored food items and terrain changes that can favor these critters. Often the leeward side of hills, just below the crest, especially on chilly windy mornings can be the ticket. Preferred foods in the fall include wild rose hips, thistles, poison ivy seeds, clovers, most shrub fruits and other small to medium sized seeds/fruits. Don’t overlook a good corn field next to rolling grassy hills as these can be gold mines. When walking hills, look for changes in terrain, hill sides that offer wind protection or those that offer shade or sun, whichever is needed given the weather. At the tops of hills, look for craters and bowls where grouse like to hang out during the day. Grouse and prairie chickens prefer grassy areas of medium height. Eastern tall grass prairie is way too thick. Choppy sands with short to medium height grass species can be perfect, allowing birds to detect predators easily while foraging for food or loafing. The breast feathers on sharp-tails is somewhat mottled (right) while that of the greater prairie chicken appears barred or striped (left). 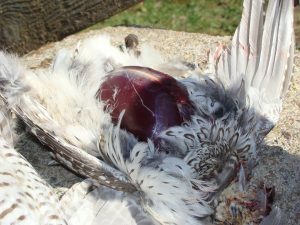 The breast meat on both birds is highly oxygenated with blood (meaning they use this muscle a lot) and is therefor a darker meat. But delicious! Access to these birds is pretty incredible. 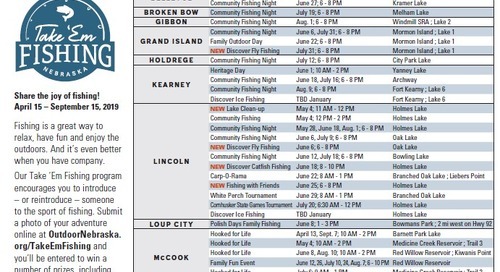 In central Nebraska, areas such as Calamus Reservoir WMA, the Bessey Division of the Nebraska National Forest near Halsey, Samuel McKelvie National Forest, Valentine National Wildlife Refuge, and Merritt Reservoir WMA. Private land access can also be obtained by asking permission. 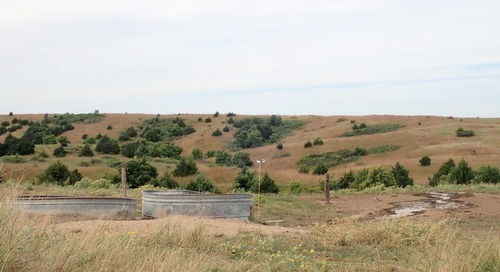 Most Nebraska ranchers are very open to letting good folks on their property. 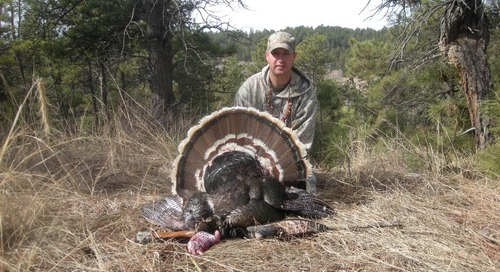 Visit our “Where to Hunt” page for more information on hunting access for these birds. We have also developed a Grouse Hunt Trip Planner for your to help in planning one of the most memorable trips you and your family will ever take! A good dog can really help here. You will need to cover a lot of ground and a dog will save you a lot of walking. They can also find downed birds much better than we can. And, at the end of a long day in the field, a dog is a great companion sitting around the campfire. Grouse hunting is also a great time to introduce a new hunter to the field. Show someone new just how exciting chasing these birds can be! Take the Upland Slam challenge this year and join me in the Sandhills. You will enjoy some of the best hunting experiences that only Nebraska can offer. 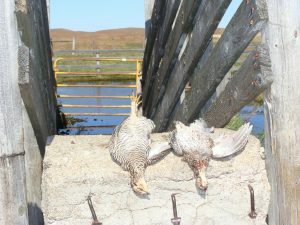 The post Grouse and Chickens – First Leg of My Upland Slam appeared first on NEBRASKALand Magazine.